The luxury retreat at the island's most sought-after address at Kamala Bay received the 'Winner Award for Nature & the Environment' and 'Best Boutique Accommodation' honour among contestants in Thailand's southern region. 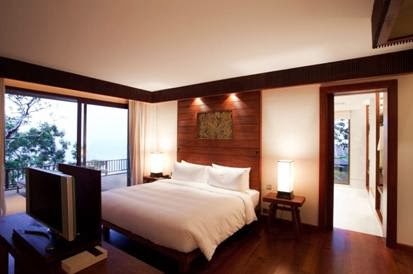 The new Thailand Boutique Awards (www.thailandboutiqueawards.com) recognise the country's boutique hotels of 4 to 50 rooms. 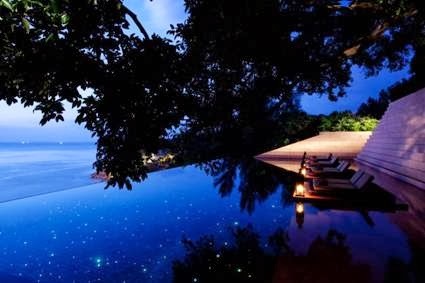 Inspired by southern Thai homes, Paresa Resort collected the honours for Phuket ahead of other destinations in the south, offering "unrivalled indulgence" atop stunning cliff tops amid lush tropical forests and gardens overlooking the Andaman Sea. Its architecture is a unique reinterpretation of Thai cultural traditions incorporating chic modern Frank Lloyd Wright-inspired organic elements. Artworks include golden angels inlaid in black, a reference to the Thai translation of Paresa as "Heaven of Heavens". The Paresa experience is completed by discreet yet friendly, warm & welcoming staff named 'Angels'. Respecting pristine natural surroundings, traditional design with natural timbers and materials complements preservation of magnificent large Banyan trees across the property. "This results in a seamless transformation from lush external natural surroundings to simple yet luxurious open plan contemporary design," said owner and developer Mr. Poompong Patpongpanit. 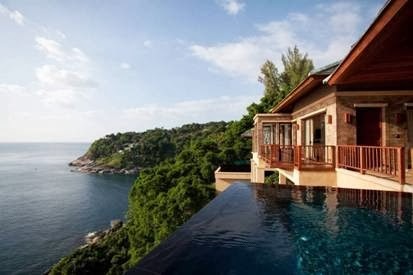 Comprising 49 luxurious and elegantly appointed guest suites and villas offering uninterrupted 270° views across the Andaman Sea, Paresa "reflects a newfound respect for the environment and nature", he said. Paresa's award-winning accommodation ranges from 13 Talay Suites with outdoor balconies to 18 Aqua Pool Suites with private infinity plunge pools; five Dima Spa Suites with private infinity pools, steam rooms and 'island' bathrooms; seven Cliff Pool Villas with cantilevered infinity pools and their own wine cellars; six Cielo Residences with large infinity pools and personal butlers; and five Grand Villas designed for large groups or families, accommodating 8-12 adults. Paresa General Manager Scot Toon said: "It's a fantastic honour to receive these prestigious awards in only our first year of operation. They reward all our hard work. All the Paresa 'Angels' and I are very proud that we have received this award for the Phuket destination"
The Thailand Boutique Awards were sponsored by the Tourism Authority of Thailand and MasterCard, with the aim of promoting tourism and recognition to boutique hotels and resort across the country in six major categories: 1) Architecture, 2) Renovation and Modification, 3) Nature and Environment, 4) Culture, 5) Total Experience, and, 6) Community Traveling. Paresa wining the best accommodation award for the large southern region is also a win for the destination of Phuket. Showing that Phuket has so much to offer travellers.